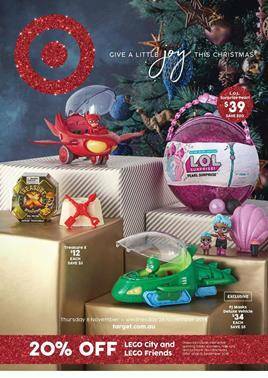 Christmas means a lot of toys in catalogues like Target Catalogue. In the Christmas catalogues of Target, there are many alternatives including Lego Duplo. 20% off Lego Friends, City and more sets. Lego Star Wars, Technic, Elves and Jurassic World are popular sets that will be on sale at Target. Visit pg 2-5 for the LEGO toy deals that are special for Christmas. Lol Surprise, Pj Masks, Treasure X are on the first page. Duplo sets included Town Santa's winter holiday, my first animal brick box, steam train, farm pony stable and more on pg 2. You can buy Lego Unikitty cloud car for only $19! Star Wars is perhaps the most popular story among all what Lego has sets of. You can find them on pg 4. Star Wars Hoth Medical Chamber is very detailed, cool and entertaining puzzle toy. These sets are no more for kids only. Many adults love to create blocks and toys with Lego pieces. Lego Harry Potter has a special and promoted place on pg 6. There are books and accessories that be interesting to fans of Harry Potter franchise. Don't forget to see these deals by Target Christmas Sales and catalogues in the future. Do that by following our Facebook page where all these updates appear every day.